People have a lot in common with dogs – the ability to express emotions, social behaviors, personal preferences — as well as over 80 percent of our DNA. Both species experience many similar diseases, including epilepsy. 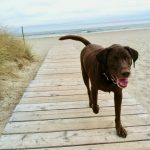 While it can be an intimidating condition, by arming yourself with these 10 facts about canine epilepsy, you can be better equipped to confidently care for an afflicted pet. 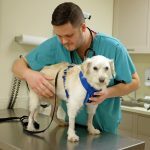 The most commonly reported neurological condition in dogs, epilepsy is defined by repeated seizures—sudden but temporary changes in behavior, consciousness, and/or muscle movement that occur due to abnormal electrical activity in the brain. 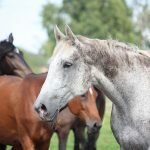 Some breeds may be more predisposed to epilepsy than others. There are a number of seizure types, all of which cause different symptoms. The most common is the generalized seizure, also known as a grand mal seizure. These usually last from a few seconds to a few minutes, during which time the dog may fall over onto its side, convulse, lose consciousness, and have uncontrolled urination and/or defecation. Focal seizures are less common, and can involve involuntary movements or facial twitching, without loss of consciousness. Though seizures are scary to witness and the dog may be confused or panicked in the aftermath, seizures are not painful. While they are happening, it is important to move objects away from your pet that could cause harm, but not to move or pick up the dog. Allow the dog to lay on its side and do not try to put your fingers or an object in its mouth. The frequency of seizures varies between each animal. Recording how often a dog has seizures, affected body parts, when they occur, and how long they last are all important to track how well the dog’s treatment is working and to determine if your vet may need to adjust treatment. In rare instances, a dog may have certain triggers that produce seizures. While different for each animal, stress and anxiety are often triggers that owners note, as well as certain foods or medications. Keeping a “seizure diary” is a proactive way to help identify potential triggers. Most dogs, however, will have seizures without any trigger and typically when sleeping. Typically, dogs cannot be cured of epilepsy. 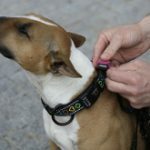 Daily medication may be required, and while it often helps improve quality of life and reduces seizure frequency, most epileptic dogs will still experience some seizures. 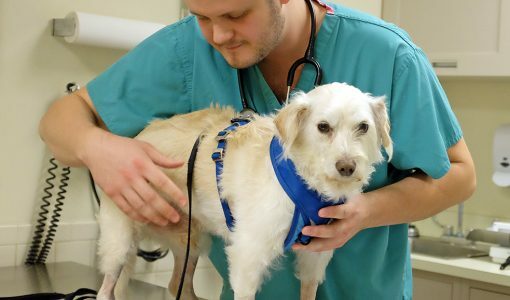 A dog with seizures may benefit from a full diagnostic work up with a veterinary neurologist. This is not always necessary, but can be helpful in challenging cases or for peace of mind for an owner. This may include a detailed neurologic exam, specific blood tests, an MRI of the brain, and possibly collection of spinal fluid. Treating epilepsy requires vigilance. It is imperative to have a routine for giving the medication and to know who is responsible for giving it. Planning for family travel and medication refills must also be considered. Dogs with epilepsy may require medication if it has more than one seizure a month, has clusters of seizures where one seizure is immediately followed by another, or grand mal seizures that are severe or prolonged in duration. It can be difficult for vets to determine whether a dog is experiencing seizures or other health issues, so it is important to write down a description of what you saw as soon as possible after an episode or, preferably, take a video of the incident. It is important to have a close relationship with your veterinarian in planning medication choices and changes over time. Many dogs will require adjustments and regular check ups. There are multiple choices of medications for seizures, allowing options for the lifestyle of a pet and their owner. Your dog may have an intimidating disease, but with appropriate treatment and care, you can help to preserve your dog’s quality of life and enjoy your time together.